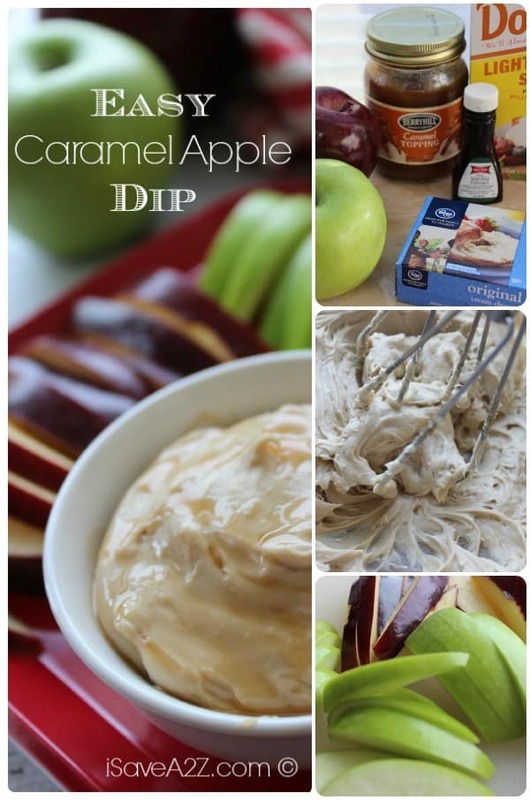 Boy, Oh boy do I have an Easy Caramel Apple Dip Recipe for you! You are not going to believe how crazy simple this recipe is! The main ingredient is cream cheese so it does have some protein in it too which is good for those watching their carb intake. It’s a nice way to curb that sweet tooth without too much quilt. It also has a caramel sauce too. We have a homemade caramel sauce recipe here if you would rather make your own and not buy the store bought stuff. I have a few dip recipes that go well for parties and this one is definitely on the list. We do have another dip recipe that tops as a favorite amongst our readers too. It’s called the Cilantro Jalapeno Dip Recipe. I will warn you though. This recipe is addicting! Consider yourself warned. We put this dip recipe on burgers, steaks, fries, chicken, enchiladas and so much more! It’s crazy good. You would think it would be very spicy but it’s not. My nine year old eats it and she refuses to eat anything spicy. The jalapeno seeds are removed so the spice is gone but the flavor is in full force! 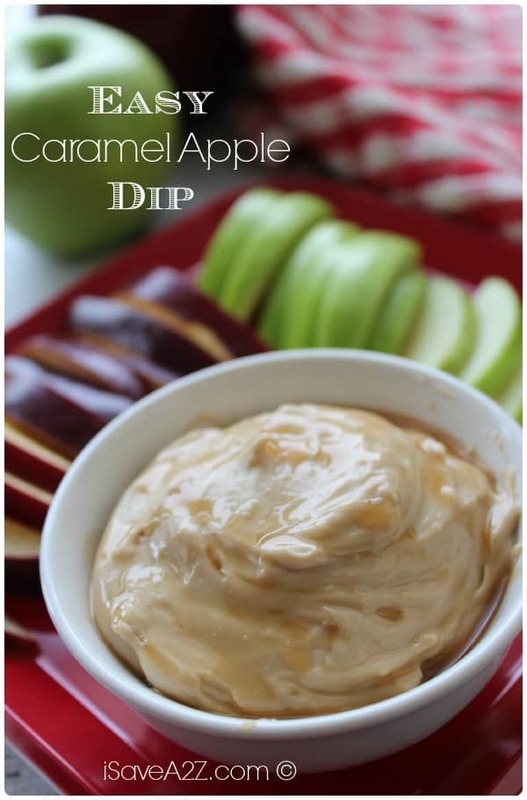 Simple and easy Caramel Apple Dip recipe made with cream cheese and caramel sauce! Mix cream cheese, brown sugar and vanilla until all ingredients are well mixed. Transfer to bowl and drizzle with caramel topping before serving. We hope you enjoy this one! We always do! If you are looking for more dip recipes we have this Skinny Dips recipe book that we absolutely love! Check it out! By Jennifer on October 1, 2016 Appetizer, Desserts, Dips, Recipes.